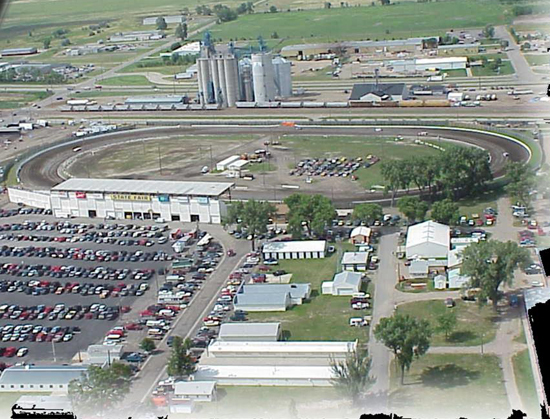 Huron, S.D. (August 30, 1974) - After some hearty handshakes from his pit crew and a kiss from his girl, Mike Haugan of Sioux Falls received the silver cup and a bottle of champagne from the South Dakota Motorsports Association for his victory in the State Fair 50 here Friday night at the South Dakota State Fair. 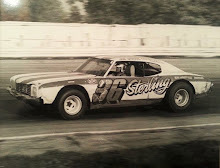 The 22-year-old Sioux Falls ace, who qualified 15th in the time trials, took over the lead with only seven laps to go in the 50-lap feature race and no one could come near him after that as he headed his #4 Plymouth to the checkered flag. For Haugan, it was his second big victory of the year at the Huron oval as he also claimed the Challenge Cup III race. “I was lucky,” he said after he popped the cork to the bottle of champagne and passed it among his jubilant crew members. “It was a tough race and seemed like anybody could win,” he added. But, it was Haugan who collected the $500 first place prize money and for everybody else, it was not their race. Joining Haugan in the group of winners was Chet Danburg of Miller, who topped the 50-car field in the lime trials, turning a 28.82 second lap. Watertown's Roger Swenson, who won the State Fair 50 one year ago, was the winner in the Race of Champions while Gary Nagel of Gettysburg topped the semi-main event. 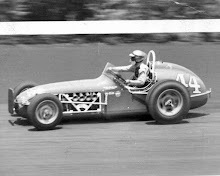 Swenson appeared to be headed for his second State Fair 50 victory as he gained the lead on the third lap and was the leader until the 39th lap. A broken axle forced him to cut his torrid pace as he finished the face for fifth place prize money. 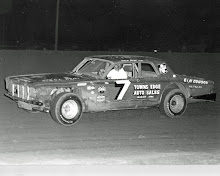 Miller's Bob Tong would inherit the top spot, but five laps later Haugan had worked himself into the lead. Don Pruess of Pierre joined Haugan in being the only two cars in the 23-car starting field to complete all 50 laps. Pruess finished in second place and was followed by Gary Sieber of Columbia, Roger Saathoff of Estelline and Swenson. Rounding out the top-10 finishers were Leland Cain of Miller followed by Ray Hunsley of Pierre, Jim Zimmerman of. Slayton, Minn., Carroll Priebe of Pukwaria and Tong. 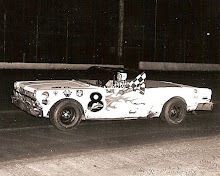 The race of champions, the first ever handpicked field of the fastest cars in the state, turned into an instant success as 15 of the area’s finest displayed quite a show; with only two laps to go, Swenson passed Pruess and Aberdeen's Ron Droog around the outside to gain the lead and the win. Pruess finished in the runner-up spot in the 15-lap race with third going to Saathoff and fourth to Lynn Arment of Aberdeen. 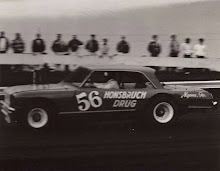 Chet Danburg was fifth. Only 10 of the starting 32 cars in the semi-main event were able to finish the grueling affair with Nagel pulling out the win. He took the lead with five laps to go and was followed across the finish line by Steve Oanburg of Miller, Don Wagner of Miller, Ronnie Muth of Huron and Erv Beckman of Chamberlain. Only two drivers were able to break the 28-second barrier in the time trials with Chet Danburg earning a 28.82 mark and Arment very close behind with a 28.83. Nine cars finished in the 29-second bracket.